When it comes to Irish emigration, it seems that Canada has become the new Australia. As you may know, Australia used to be one of the top destinations for Irish citizens seeking a better life abroad. 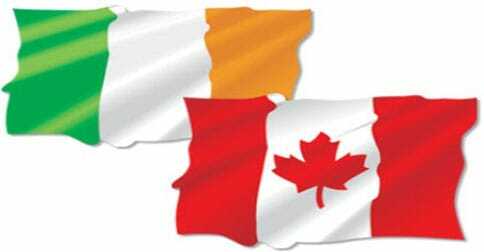 In recent years, however, it looks like Canada has won the hearts of Irish expats and many of them have even decided to stay there for good. Latest data showed that about 3,200 Irish nationals have become permanent residents of Canada over the last six years. More than 1,500 of them have become Canadian citizens. The Irish Independent dubbed these Irish emigrants as members of the “lost generation” and it seems that many of them don’t have any plans to return home. According to reports, the number of Irish nationals choosing permanent residency in Canada has more than doubled from 395 in 2009 to 1,015 in 2013. Edwina Shanahan, marketing manager at Visa First, said 10,000 Canadian working visas were made available to the Irish in the first quarter of 2015. Since then, the demand for visas has increased significantly. Ms Shanahan added that migrating to Canada has become a more attractive option for many Irish people than travelling to Australia. “Canada has become a lot more amenable to our clients than Australia, and an awful lot of people are going towards the more permanent option if they are eligible,” she said. Ms Shanahan attributed the shift to the significant changes made to Canada’s visa application system. Launched in January 2015, the International Experience Canada (IEC) programme is a working holiday visa that allows people 18 to 35 years old to work in the country for up to two years. IEC also allows visa applicants to bring dependent children with them, which is something its equivalent visa program in Australia doesn’t allow. “In Australia and New Zealand, you are meant to be single, have no criminal record and no medical history that would concern immigration, but in Canada they very much look at the profile of the person and very much look at people who will come, migrate and stay there. Canada’s intention is to hold on to people, particularly skilled people,” she explained. Another reason why Irish emigrants are more inclined to stay in Canada is that they are more likely to find jobs that they specialise in, rather than part-time jobs. Ms Shanahan said unlike in Australia, more Irish engineers are working as engineers or traders working in trades.